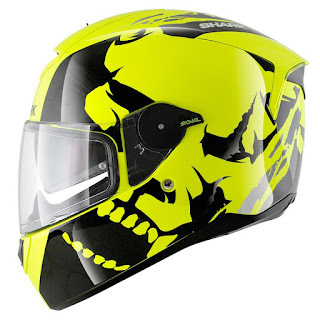 There are plentiful review online if you care to find/look/google/research to know about this fullface helmet. The most comprehensive and detailed review was from www.rideapart.com which I truly enjoyed. So, let me start by sharing my decision to purchase this helmet (brand). About 5-years ago, I bought a Nolan N91 modular helmet to compliment my ride, and priority to safety. I spent almost 1/3the value of the bike on riding gears. Partly because life is priceless, and you can never be too overly cautious with good gears. The Nolan was bought at slightly less than RM1.1K. Surprised myself I took similar photo 5 years ago! The Nolan has been serving me, alongside another helmet from Givi (Model 11.0 HPS), which has been discontinued. It is a open face helmet, suitable for short commute from home to shops to get some eggs or bread. As both helmet (Nolan and Givi) is already at it's End-Of-Life (past 5-years), I need to get a new one though there are still plentiful of life still in them due to the fact of my short ride, which doesn't happen everyday due to my extensive work travel. However, the decision were more based on the "want" to get a new one to complement the new (pre-loved) Modenas Elegan 250i, which is a Kymco rebadged X-Town 300i. Back in 2013, Motorbike helmets brands are limited, and do not have more than the usual brands (Arai, Bell, Givi, Nolan) and you do not typically get an expensive helmet to ride on an underbone (kapchai) or a "non-superbike". Hence you can see my investment on helmet, padded safety wear and leather gloves seems to be an overkill when riding a China-made Keeway TX200 Motard, and a 13-years old Modenas Kriss 110. My selection to replace the aging helmet went from LS2, Givi and HJC. 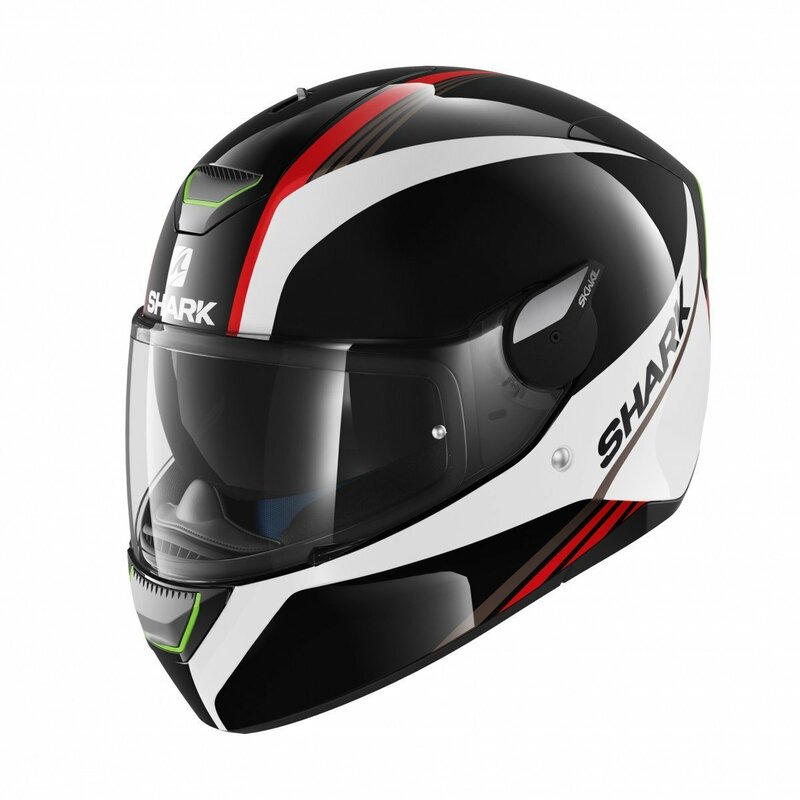 SHARP or Safety Helmet Assessment and Rating Programme, is a scheme to help motorcyclists make an informed choice when buying a helmet. They independently buy and test helmets, and provide the results openly. My Nolan N91 is 4-Stars rated, the LS2 FF396 (fullface, Sub RM600) and the HJC CS-15 (fullface sub RM350), are also 4-Stars rated as well. At this point, only one Givi fullface helmet (benchmark on affordability level) Givi 50.4 (RM1.5K) has 4-stars! At price point below RM1000, I was down to LS2 and HJC. I was ready to commit...and then i saw someone wanting to sell his Shark Helmet for RM500. He bought it wrong sized (XL), wore it once, and complained it was a bit tight for him. 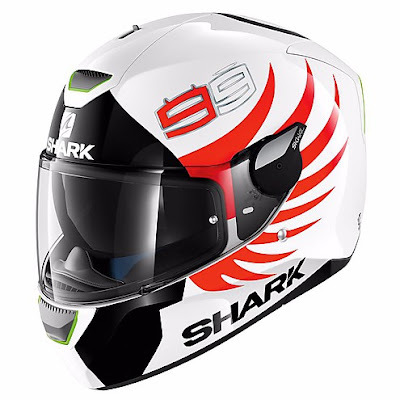 He was nice enough to tell me how much he bought it for (RM550) new; I thought he was pulling my legs until i went online to search using "Shark Skwal One Helmet RM550 Malaysia", and bingo. I found myself staring at Shark helmet at RM550 (on clearance sales). I known of Shark about 5 or 6 years ago when they debut with a video showing how 5-riders were swung by their legs while wearing using a generic helmet, and then Shark helmet. Watch it below, you see how it had pique my interest 6 years back, right before I bought my helmet. A polycarbonate helmet that are French made, absorb impact, stylish and make my Nolan looked like a relic (as with everything British). As I intended to try the XL helmet, and it is best that I know how L would feel (RM50 differences is small savings but still savings). I am wearing L on my Nolan and Givi, so I wasn't too sure if XL will be too loose. Ony one way to find out - visit the Authorised Distributor and Seller! I was like a boy in a toyshop when i entered the shop. Who won't when you see so many different model of Shark helmet all at once. Something maybe a biker can understand. I had my eyes set on the Skwal One LED from the word LED. Imagine a Helmet that has LED lights built in, that lend visibility actively, rather than passively (reflective material). While I try not to ride in the dark too much, sometimes, it does happen. And when it does, at least I know I have done my best to be visible - and hoping other motorists will sees me too! I have previously came across products such as Fiberflare (no longer selling) that can be attached to helmet. So, having something permanently, and with rechargeable battery like this, a big bonus for me! The news of the sales was at least 7-weeks old by the time I found out. My wish of getting a high-viz yellow did not materialise as they only have 3-designs with sizes. I have choices of the older Spinax, the white Lorenzo or the black Lorenzo. I went with the black Lorenzo after consultation with my fashion advisor. The Skwal One LED i have carries a E11 (UK) 05 (comply to ECE22-05) 0537 is the manufacturer reference and P stands for Fullface protection, including chin. The X84 is likely the model number refer to Shark. Number after the P is the batch test number. Important to know, as the helmet will save your head when needed! Some fullface with no chin protection will turn up to be NP, and open face, or Jet helmet will be J. So best to be educated when you next buy a helmet! This helmet carries no DOT (US) certification. I was measured and lands at between M and L size (57.5cm). As the M and L doesn't share the same shell, it is not possible to switch the padding if i desire a different design (Spinax, which only left M size). I was taught how to wear the Shark Fullface helmet, which is from back to front. Unlike my Open face and modular, which is front to back. The L was a good fit. I was told to wear it for 10minutes - so yes, I was walking about in the shop with a Fullface helmet on. I was to pay attention to the top and front of the head - and if it is uncomfortable, it is too tight. Due to the new pad, the L was tight fit, but it was comfortable. I did the tilt, rock, shake test to see if the helmet moves more than it should. It stayed firmly with no undue pressure to the front head, ear or the back of the head. I then tried the XL - and it was a looser fit where I can actually move the chin section more than half an inch. It's an indication of too lose. As the padding starts to age, I may end up with a helmet that bobs in all direction - not ideal! So L it was! After a 20km ride home, photo with main visor down, installed with Pinlock.You can see how much my cheek were compressed. Maybe because the helmet is new, wind noise was definitely more muffled compared to my Nolan. However, i did remember the Nolan to already be quiet, so this is even quieter. I can hear the noise of wind hitting the helmet, but not wind in the helmet where it can gets to your ears. FYI, i ride with earplugs in my Givi open face, and Nolan. And this Shark Skwal without earplugs is quieter than Nolan with earplugs! Making a note here to revisit in a year's time if it's still the same feel. Sunvisor down - completely mysterious! I do not blame motorist thinking I am up to something sinister - in pink! Ventilation was good. Maybe due to the helmet insert to be more open compared to my Nolan with more cloth. The insert reminds me of my cycling helmet, and I actually feel the wind passing on top my my head! I however, do not feel anything against my mouth maybe due to the air being directly inwards and upwards towards the main visor. 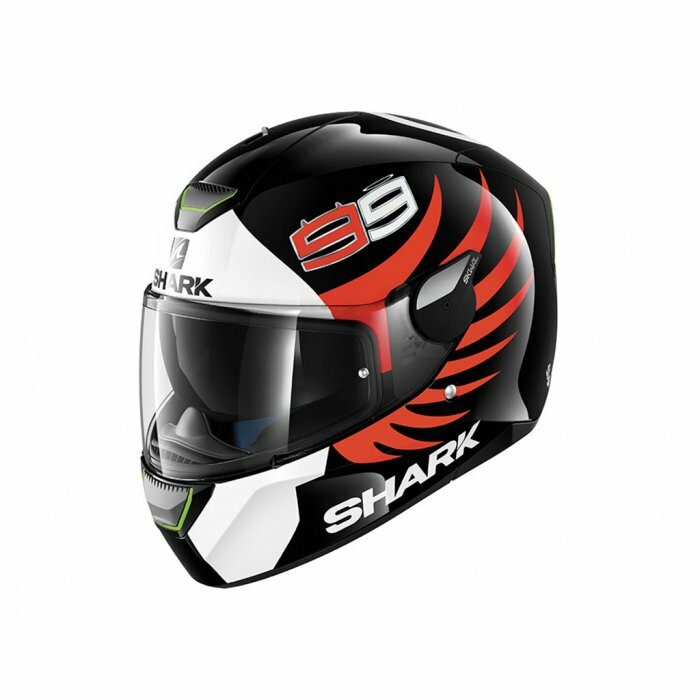 Sharks claims that the seal of the helmet is good, which reduced the wind noise, and that the helmet also comes with a chin curtain - non-retractable though (the more expensive range has the chin curtain that can be open or close to help with more ventilation. There is one complain though, the top toggle for the ventilation sort of clicks as it stay open. It moves as the rider moves or tilt the head. I have to push it until it has a bit of resistance, and the sound went off without compromising the ventilation from the top. Not sure if it is a defect and I will check with reseller soon. One of the main attraction for me to get this helmet is the LED lights. Eventhough D-Skwal has more color choices, it doesn't come with LED lights. It has one at the chin, near the ventilation; one on top, also near the ventilation, and one behind (which looked like two) near the exhaust. The LED is pwoered by a rechargable battery placed inside the helmet. With a micro-USB port on the back left side. The switch is placed at the bottom of the left side, right under the ear area. The white is part of the helmet charger. Black is Micro-USB connected to wall plug source. Was advised not to charge with powerbank as it may not provide suffficient power to charge it. The LED claimed to be able to last 10-hours on blinking mode, or 5-hours on steady mode. I left it to charge for about 5-hours, and may keep them charged on weekly basis when not riding. The video below shows how the LED lights up in the darkness of my home. May not be representative as I switched off all lights. My Nolan N91 Pinlock failed in 2-years and I have been riding without it. It fogs up, and I have to open the visor a little when I am riding to prevent severe fogging when it rains. Cost to replace the Pinlock is half what this Shark Skwal cost (at discount), and it was one of the motivation to get a new helmet (apart from 5-years shelf life). I may attempt to remove the visor, and the Pinlock to clean them, one day. The other feature that Shark Skwal has is the helmet has grooves for peple wearing spectacles! Sounds good for those that love their sunglasses vs the built in sunvisors. will try with my sunglasses so we know how it fits! Almost forgot to show the micro-lock retention system. I also noticed that retention system requirement differs between ECE (micro-lock is ok) and DOT (double-D ring). The package comes with reflective sticker for it to be compliant to the French regulations. You also get a charging cable, and a CD for the helmet. There is also a bag for you to keep the helmet from dust when not wearing them for a period of time. 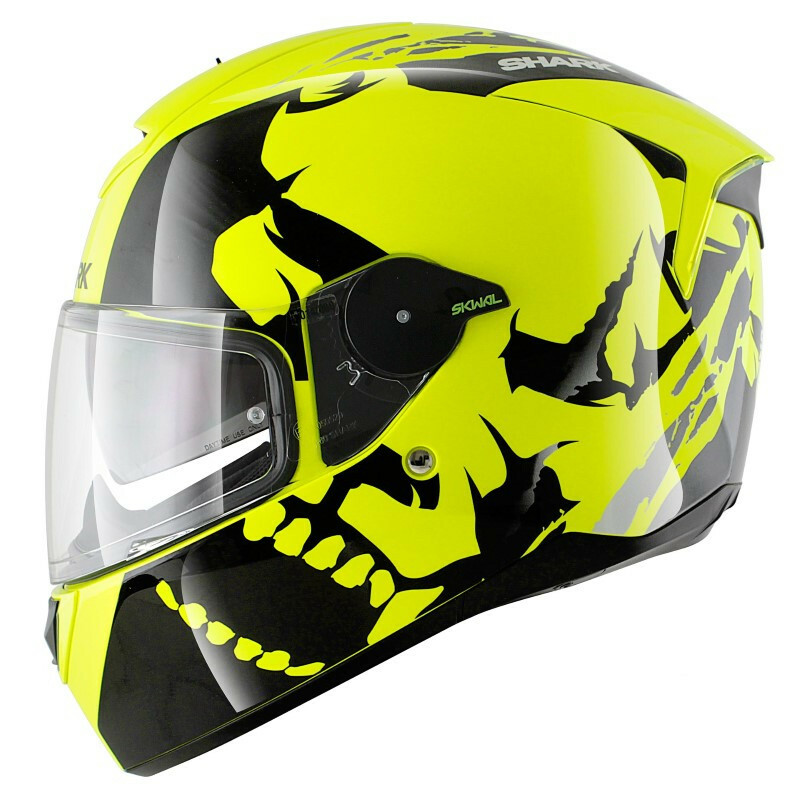 This helmet retail for about RM1200, and considered to be within the medium range. Great value for a 4-Stars SHARP rating! You can find this nice place by googling Slipstream Helmet on GoogleMap or searching on Facebook. This is a not a paid review, and I paid good (bargain) money for the helmet I bought, and very happy about it!